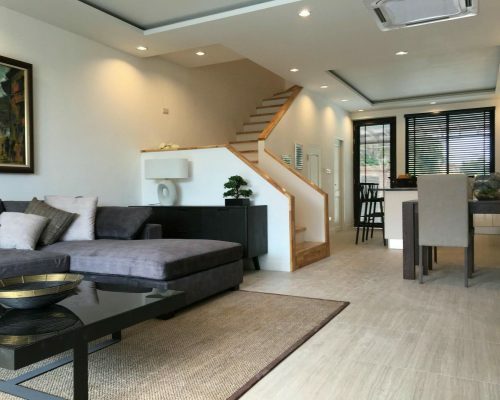 Situated at a stunning hillside location with breath-taking mountain views and less than 800m to the beaches at one of Thailand’s best known national nature parks, within walking distance to all this is the White Beach Villas development, one of the few developments that offer everything at an affordable price. peaceful and comfortable home from home where the breeze blows through the trees and you can enjoy uninterrupted views of the spectacular sunsets over the mountains of Myanmar. 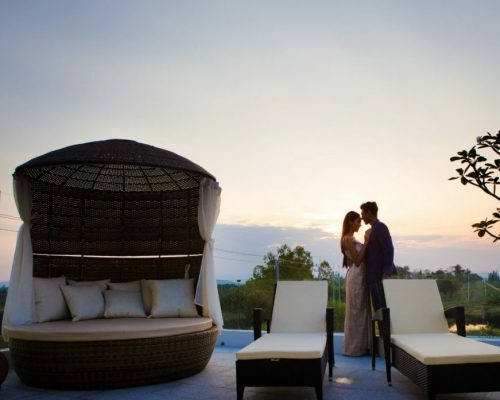 Sanctuary Lakes is set within lands having stunning views of lakes over to mountains and local countryside with the most amazing sunsets in the evening. 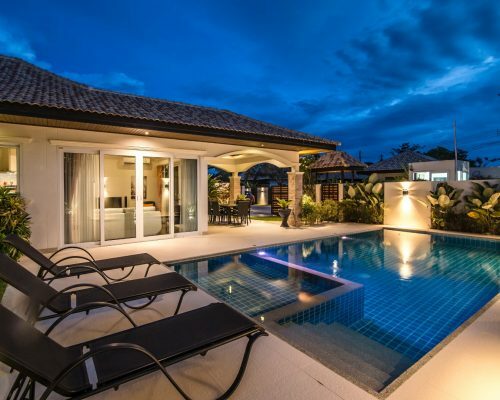 Our Luxury Villas with Pools all come with too numerous to list, high quality features. 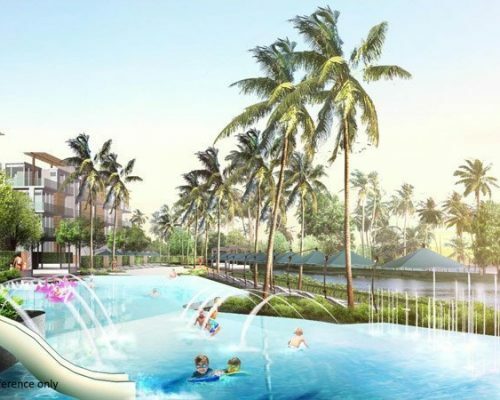 Pineview is a product of both years of personal experience living in Thailand, blended with over 35 years of construction expertise, gained from working on some of Asia’s biggest projects. 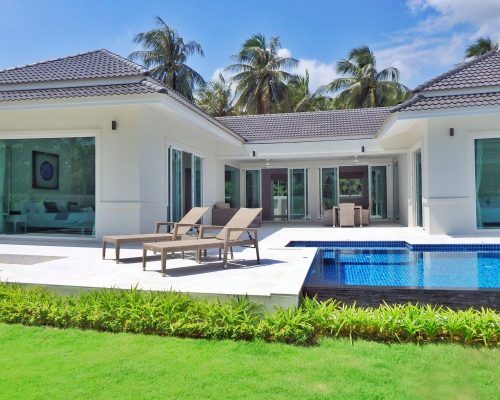 The eight villas are a product of a years’ worth of planning, consulting, and re-working concepts, to bring you one of the highest quality developments within Hua Hin. Riviera Pearl is a brand new, fully managed resort offering an impressive range of on-site facilities and services. These beautiful town houses offer an open plan living and dining area with a fully-fitted kitchen and breakfast bar. Strategically situated in an enchanting valley with natural surroundings and high-quality facilities, the project has initially been implemented with land development and environmental quality improvement greatly suitable for living and recreational purposes. 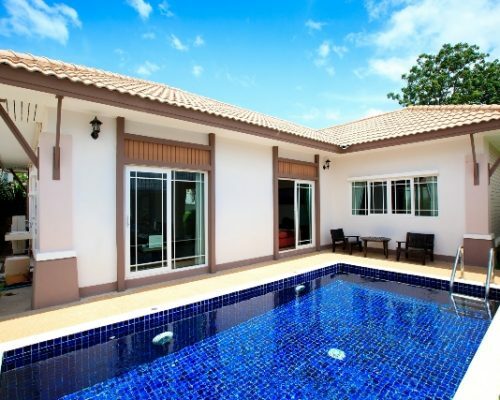 A quality vacation home by Sansiri. 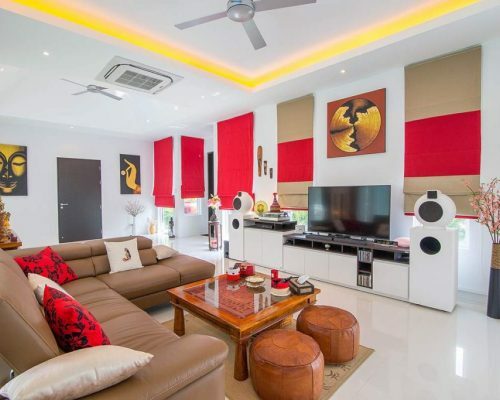 Inspired by a Contemporary Tropical design concept, the project’s Modern Thai style provides a seamless combination of traditional charm and modern convenience. 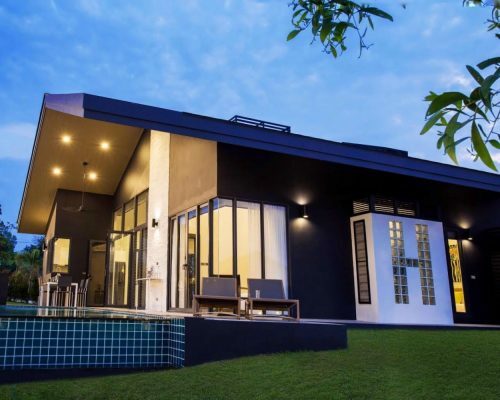 Combining beautiful surroundings with local infrastructure, Mil Pool Villas is in an ideal location minutes from Bluport shopping mall but still reaping the benefits of mountain views and breezes. Exclusive luxury apartments and golf course pool villas on World Famous 27 hole Golf Course, Black Mountain. 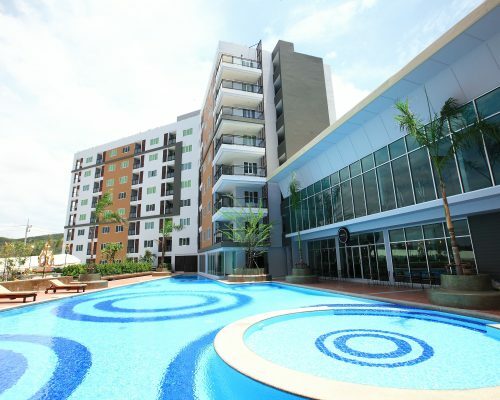 The popular Orchid Paradise developments are now happy to be progressing with their development. Orchid Paradise offer villas that boast exceptional design and functionality with spacious living and terrace areas set amidst lush, tropical greenery. 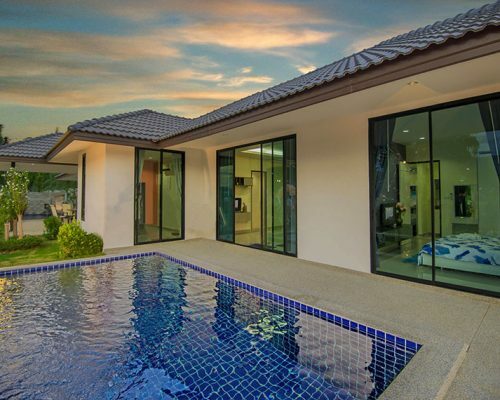 The Bibury Property is one of Hua Hin most respected and well-established property companies, helping people every year to achieve their dream. 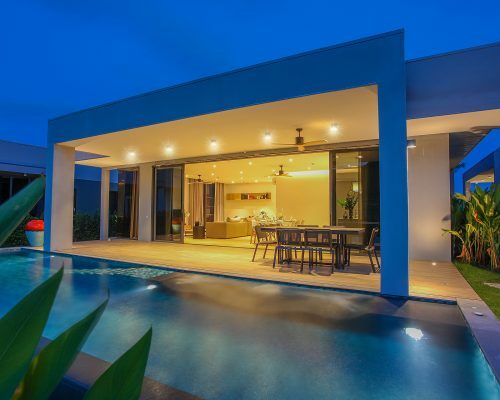 The 5th project of Smart House and the 8th overall of the highly respected developer in Hua Hin. The development will only have 37 exclusive pool villas with three different house designs.